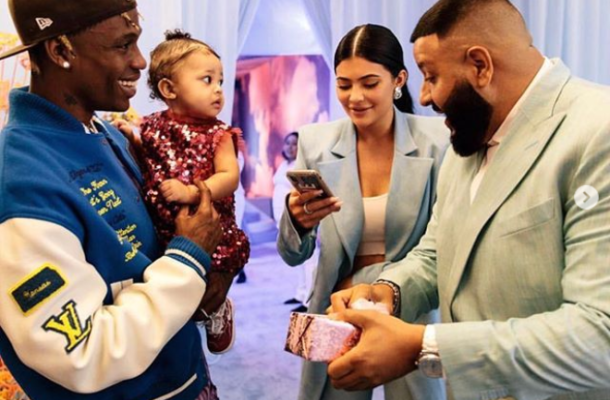 Travis Scott and Kylie Jenner threw their daughter, Stormi' a 'Stormiworld' birthday bash which was attended by family and friends including DJ Khaled who popped up at the venue to present the celebrant with her very first Chanel purse. 'Oh my goodness, Stormi! Stormi, your first Chanel!' Kylie Jenner said in a video shared via her Instagram stories.